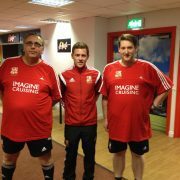 A boyhood Swindon Town supporter has lost nearly eight stone in two years through Swindon Town Community Trust’s Football Fans In Training (FFIT) programme. 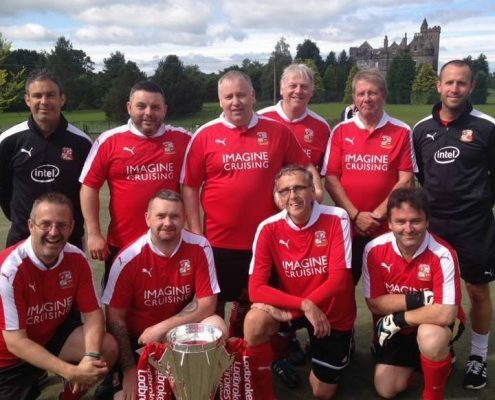 Shaun Ferguson, who has supported Swindon Town for more than 41 years, has not looked back since signing up to the club’s FFIT programme in January 2014 and says after getting married, it is the most amazing thing he has ever done in his life. Shaun, now aged 50, was 22 and a half stone when the programme began, and two years down the line reached 15 stone. The programme has helped him learn about exercise, nutrition and has completely changed his lifestyle. 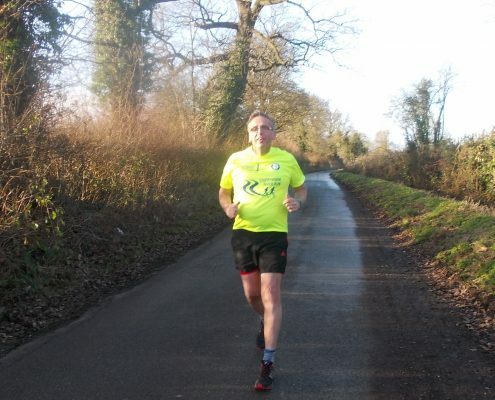 Shaun completes 10k runs every Sunday! “The fact that the team I support, Swindon Town, were running this programme, was so clever and gave me the motivation to join,” said Shaun. “If you are a football supporter, this is ideal. It is a group programme, there is a collective mentality and not just you doing it, the whole group bond just like a football team. 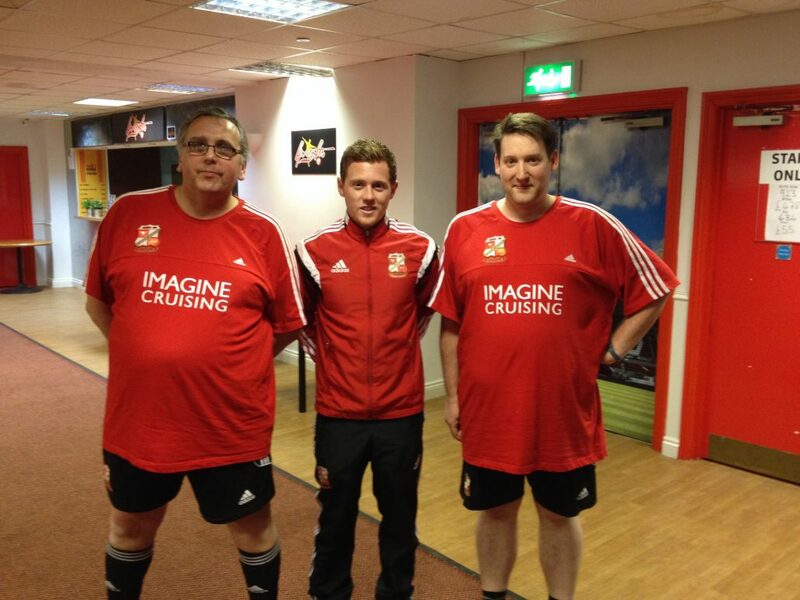 Swindon Town have helped 120 men between the age of 35-65 lose nearly 1000kgs (155 stone) in two years through FFIT. The 12-week healthy living programme has been designed to give adults, aged 35-65, the right tools to live a healthier lifestyle and has been developed to include the latest scientific approaches to weight loss, physical activity and diet. Shaun, middle, front row to the right. Shaun continued: “We have started our own running group in Swindon. We have people that have completed this programme planning on running marathons in 2017. “Every weekend we play football and this programme makes sure you become active. We are not only reminded how important exercise is, we are now educated how to maintain a healthy diet. “The real eye opener for me was the portion sizes, what you were supposed to eat compared to what you are eating. It is quite scary. “I can now tie my shoe laces bending over without being out of breath. The little things that you take for granted. “Obesity is a real problem and it is a hard thing to get out of. For a football fan especially, a great way to lose weight is joining a programme such as Football Fans In Training. “These types of programmes keep you motivated because obesity is a rut. I have been there and I know that. It is horrible for people that are in that position at the moment and it is so easy to fall back into it. The EFL Trust has given FFIT their full support and encourages clubs to deliver the programme as a part of the play the #2ndHalf campaign encouraging older adults to stay active. Find out more about #2ndHalf here. If you’re interested in Swindon Town’s Community Trust’s FFIT programme email jon@stfc-fitc.co.uk.